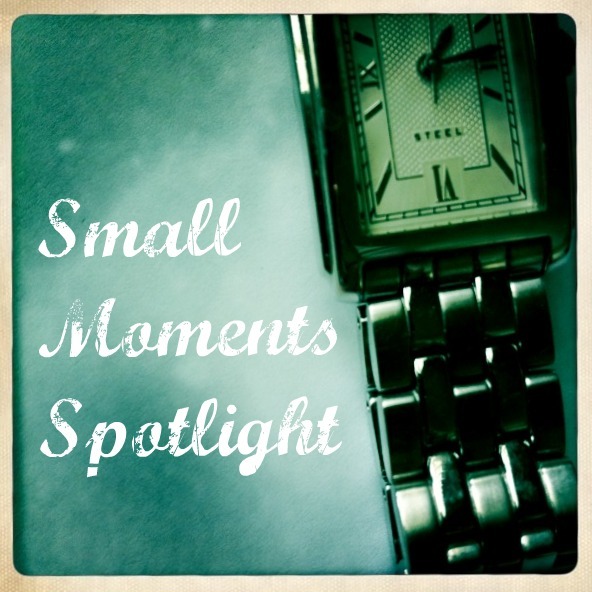 This week, in the Small Moments Spotlight, I have three gorgeous posts to share. Into the deep blue, from Sara, of Periwinkle Papillon, is transcendent and gorgeous. I dare you to read and not get swept away. So beautiful. I am in love with Mirror Image, from Robin, who blogs over at Farewell, Stranger. There is something magical about seeing yourself in your child. She captures that beautifully in this piece. Please go read these gorgeous pieces and leave them some kind words. Thank you so much! If you should happen upon a small moment post, or if you’ve written one yourself, please use my “contact me” tab (over there on the left under “site links”) and send me the link; I’d love to read it. Love Robin and have never herd of the others… thanks for the introduction. Wow – Thank you so much for the mention. I'm looking forward to reading the others! Ooh, these are all new to me! Thanks for the links! Thanks again, Nichole, so much. I visited the others too – great posts, both of them.